We’re almost half way through 2018, and I think it’s time to talk retail. We consult with a lot of people about retail POS systems, and it’s high time we mention a few of our favorites. Lightspeed is always one of our favorites. What can we say? It’s fast, easy, and infinitely scalable. Simple to use, and has great advanced reporting. Their eCommerce stuff works pretty well too. If you’re starting out, and you’re looking for something simple for a retail store, try out Lightspeed. Between Lightspeed and Vend, it’s a toss up for me. I love both systems, they’re both iPad based, and both work amazing. But unlike Lightspeed, Vend works on anything. You can use the Vend Register on a PC, iPad, or whatever. Vend also has a cool integrated loyalty program, which clients have been screaming for. So it’s a great way to get into retail. Check out Vend. Shopify retail POS is a standout for a bunch of reasons. And it’s very affordable. It will also fit the needs of a lot of businesses. But best of all, is the way Shopify does omnichannel. Their online stores seamlessly integrate with their instore offerings. ERPLY is killer. For a company on the grow, ERPLY offers the features of a much larger retail POS system, while keeping a low price. 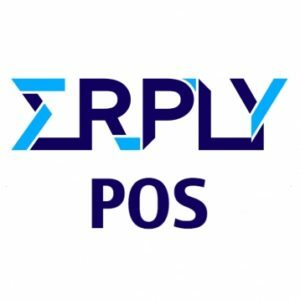 ERPLY is available for Windows, and iPad. It also plugs into Shopify for eCommerce. With ERPLY you get a lot of bang for your buck. Springboard Retail is another great cloud based system. They offer you the resources you need for your company to grow. One of my favorite things about Springboard Retail, is that it doesn’t require a specific set of hardware. It will run on most anything. And has an open API, so most anything can plug into it. 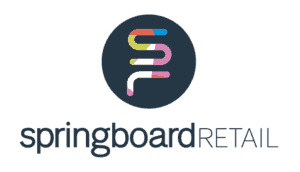 They have great reporting, and I would definitely recommend you check them out here: Springboard Retail. Hike is a company I’m only recently becoming aware of. But the astonishing thing about Hike, is what you get for the price. You can get multi-store retail POS starting as low as $129 a month. That’s pretty amazing stuff. In addition to that, they have integrated loyalty and gift cards. So if you’re running a store, and you need a retail POS system, check out Hike. Korona POS is another great choice for the SMB retail shop. Offering gift cards, cashier tracking, and great reporting. Korona is a great way to get into retail, and keep track of your inventory, as well as your sanity. Like ERPLY, those looking for something for more of a mid-large sized business should check out Teamwork Retail. 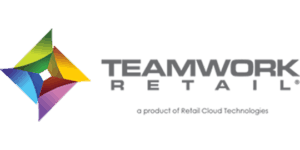 Teamwork Retail offers advance CRM, reporting, and employee tracking. With centralized real-time data, Teamwork Retail is easy to manage. And it offers you the customized data you need! A great retail POS coming from our friends at NCR, is Counterpoint. Counterpoint is an all in one retail management solution. From eCommerce, to reporting, it does it all. And there are perks to buying from one of the worlds biggest retail POS companies. Their integrated merchant options are great, and awesome security. Some of my retail POS community bretheren are shuddering a little here. But Square has done a really good job making their product more functional in the last year. Once the retail POS Solution for people working flea markets, Square is moving up in the world. They’re also adding more tiers for payments, which is allowing them to be more competitive on the processing end. If you’re a little confused about which solution might be best, send us a note here. There’s no reason you need to go through this search alone. And with our unbiased methods, we can help you identify which software systems you should be looking at.